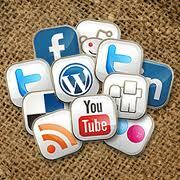 Home /Social Media Marketing » Social Media – Marketing Nirvana or Crises? Social Media – Marketing Nirvana or Crises? With any new media early adopters tend to gain most of the benefits and it helps to be informed, ready and plan for all eventualities as Social media crises are on the rise, however most could have been diminished or averted with the proper social media planning, according to a report by Altimeter Group released on Wednesday. Altimeter found that social media crises originated nearly evenly across five social media platforms: communities, YouTube, blogs, Twitter and Facebook. Furthermore, the report illustrated that the top five industries affected by social media crises were: consumer goods, apparel & fashion, restaurants, Internet and retail. And what were the causes of these crises? The majority of the times, social media users were venting poor experiences, but social media crises also arose from companies having poor influencer relations and having broken ethical guidelines. 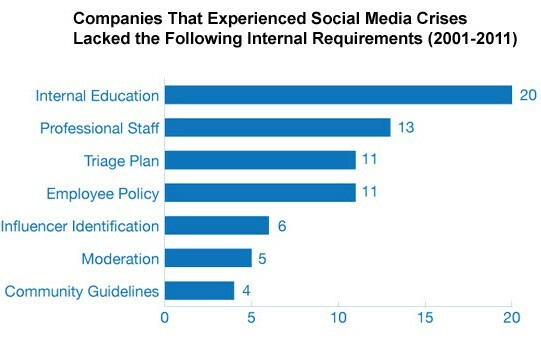 So, how do companies avoid a social media crisis? Based on its interviews with advanced social businesses, Altimeter Group developed a “Social Business Hierarchy of Needs” to help businesses achieve social business readiness. Foundation: Define business objectives. Develop four sets of policies: social media, disclosure/ethics, community and privacy. Train and empower employees. Safety: Appoint a team that actively monitors social media channels during office hours and beyond. Practice with “fire drills” that simulate real-life crises. Formation: Take inventory of all social assets and reform your teams accordingly, focusing on increased communication. Form a social media “Center of Excellence” that serves the entire company. Enablement: Enable business units to deploy and run social media programs on their own. Set up an internal community where employees can learn from each other and aggregate measurement data to prove successes. Enlightenment: In an ideal state, businesses are able to make decisions based on real-time intelligence and use social data to inform product development and partner relations. Furthermore, “enlightened” social businesses are able to achieve real-time customer engagement by empowering all employees to use social media on behalf of the company. WSI offers Social Media strategy planning, staff training with hands on workshops and mentoring to assist our clients who are the brave early adopters to ‘get it right’ from the getgo.